Mubychem Group, established in 1976, is the pioneer manufacturer of Potassium Phosphate Dibasic, Pharmaceutical, Fragrance & Flavor chemicals in India. Mubychem Group has several manufacturing facilities spread across Gujarat and Mumbai India and world wide contacts and toll manufacturers. We are exporting globally to countries like USA, Europe, UAE, South Africa, Tanzania, Kenya, Egypt, Nigeria, Uganda, Turkey, Mexico, Brazil, Chile, Argentina, Dubai, Indonesia etc. Dipotassium phosphate contains not less than 98.0 per cent and not more than the equivalent of 101.0 per cent of K2HPO4, calculated with reference to the dried substance. 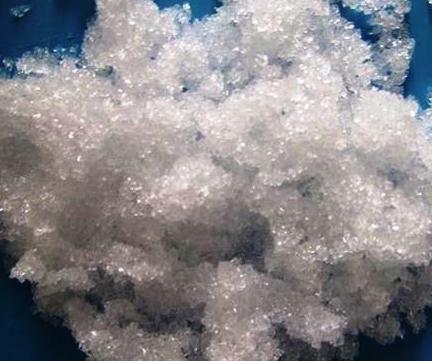 A white powder or colourless crystals, very hygroscopic, very soluble in water, very slightly soluble in alcohol. B. Solution S gives reaction of phosphates. C. Solution S gives reaction of potassium. Dissolve 5.0 g in distilled water and dilute to 50 ml with the same solvent. Heat on a water-bath for 5 min a mixture of 5 ml of solution S, 5 ml of dilute sulphuric acid and 0.25 ml of 0.02 M potassium permanganate. The solution remains faintly pink. To 2.5 ml of solution S add 10 ml of dilute nitric acid and dilute to 15 ml with water. The solution complies with the limit test for chlorides (200 ppm). To 1.5 ml of solution S add 2 ml of dilute hydrochloric acid and dilute to 15 ml with distilled water. The solution complies with the limit test for sulphates (0.1 per cent). 5 ml of solution S complies with limit test A for arsenic (2 ppm). Dissolve 2.0 g in 8 ml of water. Acidify with about 6 ml of dilute hydrochloric acid (pH 3 to 4) and dilute to 20 ml with water. 12 ml of the solution complies with limit test A for heavy metals (10 ppm). If intended for use in the manufacture of parenteral dosage forms, it contains not more than 0.1 per cent of Na, determined by atomic emission spectrometry. Less than 1.1 IU/mg, if intended for use in the manufacture of parenteral dosage forms without a further appropriate procedure for the removal of bacterial endotoxins. Dibasic Potassium Phosphate contains not less than 98.0 percent and not more than 100.5 percent of K2HPO4, calculated on the dried basis. Identification— A solution (1 in 20) responds to the tests for Potassium and for Phosphate. pH: between 8.5 and 9.6, in a solution (1 in 20). Loss on drying— Dry it at 105 to constant weight: it loses not more than 1.0% of its weight. Insoluble substances— Dissolve 10 g in 100 mL of hot water, filter through a tarred filtering crucible, wash the insoluble residue with hot water, and dry at 105 for 2 hours: the weight of the residue so obtained does not exceed 20 mg (0.2%). Carbonate— To 1 g add 3 mL of water and 2 mL of 3 N hydrochloric acid: not more than a few bubbles are evolved. Chloride— A 1.0-g portion shows no more chloride than corresponds to 0.40 mL of 0.020 N hydrochloric acid (0.03%). Sulfate— A 0.20-g portion shows no more sulfate than corresponds to 0.20 mL of 0.020 N sulfuric acid (0.1%). Iron— the limit is 0.003%. Sodium— A solution (1 in 10) tested on a platinum wire imparts no pronounced yellow color to a non-luminous flame. Limit of monobasic or tribasic salt— Dissolve 3 g in 30 mL of water, cool to 20o, and add 3 drops of thymol blue TS: a blue color is produced, which is changed to yellow (with a greenish tinge) by the addition of not more than 0.4 mL of 1 N hydrochloric acid. Potassium Phosphate, Dibasic, occurs as a colorless or white, granular salt that is deliquescent when exposed to moist air. One gram is soluble in about 3 mL of water. It is insoluble in alcohol. The pH of a 1% solution is about 9. Assay: Not less than 98.0% of K2HPO4 after drying. Dipotassium phosphate (K2HPO4) - also phosphoric acid, dipotassium salt; dipotassium hydrogen orthophosphate; potassium phosphate, dibasic - is a highly water-soluble salt which is often used as a fertilizer, food additive and buffering agent. It is a common source of phosphorus and potassium. As a food additive, Dipotassium phosphate is on the FDA's Generally recognized as safe, or GRAS, list of substances. It is used in non-dairy creamers to prevent coagulation. The dipotassium salt, K2HPO4 is used alone or in combination with other phosphate compounds as an electrolyte replenisher. Potassium Phosphate, Dibasic, Anhydrous (K2HPO4) is a reagent with a very high buffering capacity. Widely used in molecular biology, biochemistry, and chromatography. Neutral potassium phosphate buffer solutions may be prepared with a mixture of the monobasic and dibasic forms to varying degrees, depending on the desired pH. Potassium Phosphate buffers are very useful in numerous applications. It has been used to study the effects of freezing and thawing on the stability of proteins sensitive to conformational changes; it was found that KP buffers offered improved pH stability as opposed to NaP buffers. Potassium Phosphate has also been used for the extraction of keratohyalin protein from bovine tissue.